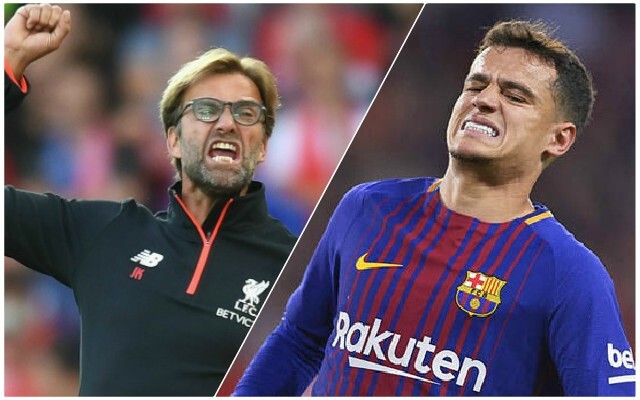 Jurgen Klopp has decided not to consider the possibility of re-signing Coutinho from Barcelona, even if the Brazilian superstar did become available. This is according to the Mirror, which backs up a source we’ve heard inside the club as well. Our former no.10 has struggled in Spain this season, falling behind Ousmane Dembele in the forwards pecking order and judged not tactically disciplined enough for a spot in the midfield three by Ernesto Valverde. But the word is that Klopp will only consider a new, young playmaker – and will not look to revisit Coutinho – just as he refused to bid for Pierre-Emerick Aubameyang or Henrikh Mkhitaryan when they became available from Borussia Dortmund before him. In Klopp’s eyes, Coutinho made his bed when he forced an exit – and he’ll now have to forge his career away from Anfield and the support of our superb supporters – who genuinely loved him. This will disappoint some Liverpool fans, with a recent poll we conducted on Twitter demonstrating that over 60% of Reds would take Coutinho back if the opportunity arose. Really though, we should just be excited about the current team and the kind of playmaker Liverpool will look to sign in the summer of 2019. Right now, we’re one of the most attractive clubs to sign for in world football – and with Liverpool not entering the January transfer market – there’ll be plenty of money for a marquee arrival.